FIRE to a Spanish Island? Just where has 2017 gone? It seems like only yesterday I was eating One More Year (OMY) humble pie and I now find myself nearly half way through the most difficult part of my FIRE journey to date. The closeness to FIRE is now really starting to hit home making me wonder whether we previously weren’t quite ready and used events like Brexit as an excuse. In recent weeks it’s become particularly real as I’ve started to tick off things that I’m doing for the last time. On the work front it’s been about setting 2018 plans and objectives. It’s been quite a surreal feeling knowing that I’m signing up for something that somebody else will ultimately be responsible for delivering. What I’ve found interesting is that I’ve actually found myself fighting harder for reasonableness than ever before. I think this is for two reasons. Firstly, I have nothing to lose given my current FU Money position. Secondly, I don’t to be remembered as “the b*stard that sold us out before riding off into the sunset”. On the home front it’s also been interesting. We have rented in the South East of England for a number of years now. A decision that in hindsight has resulted in us leaving a lot of money on the table but that’s for another day. For the second time the place we rent has been sold after the fixed term portion of our tenancy had expired. On the first occasion we had to move but on this occasion the place was bought by another investor. Their initial welcome to us was a requirement to sign up to a new Assured Shorthold Tenancy (AST) or we could have an ‘S21’ (for the home owners out there a Section 21 is the tool landlords use to evict tenants after a fixed term tenancy ends). The problem was they wanted the AST to be for 12 months. It’s been a difficult negotiation but we’ve ended up with a 6 month break clause which has cost us £25 a month in rent payments. Not perfect but it’ll work for us. The choice of our initial FIRE location is one area where we haven’t done it for the last time and we’d wanted to have this finalised by the New Year. In recent days we’ve been pulling all our thoughts together and have ended up with a monster Pugh Matrix which tries to cover both head and heart but it’s raised as many questions as given answers. Don’t get me wrong. Any of the choices will be fabulous and home is largely where you make it but at the same time we want to try and pick the place that works the best for us. The end result is a final research visit to a part of Spain that we haven’t been to before but which shares something in common with other Med places we’ve loved / we love. We’ll do that very early in the New Year and then we’ll need to be getting on with it. Speaking of the New Year. I’d like to take this opportunity to wish all readers a very healthy and prosperous 2018 that’s full of success, fun, laughs and love. I know for us it’s definitely going to be fun but with that I would suggest it’s also going to be very busy. Happy New Year! Sounds like things are hotting up for team RIT! Keep the posts coming. 2018 is looking set to be the most action packed year yet? 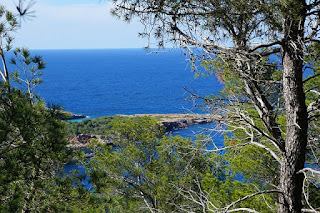 As a Spanish national Balearic Islands looks like a good choice, the advantage is that is close to mainland and it is very nice, the disadvantages are that is a bit more expensive and the weather is not that great, I need to go for a second inspection, the first one was long time ago. If you are thinking about Canary Islands, Tenerife is my favourite not too expensive and the weather in the canary islands is amazing but when I visited them it didn't make it for me, I couldn't see myself living there for the long run. Let us know your impressions. Many thanks for this Dalamar. It's the Balearic's we have our eye on. It's definitely more expensive than mainland Spain from a home price perspective but the OMY has given us a bit extra to help with that. Even with that it would still mean less home than we would get in say Cyprus but having lived in London for a long time a 'big' house is not so important to us from a quality of life perspective so that's not necessarily a negative. Need to get on the ground to assess the other costs. Your lifstyle is going to be completely different to living in London - so a large number of " features " - including size - are going to be completely different . A property that can cope with excessive heat ( larrge rooms , high ceilings, tiled or stone floors rather than wood , easy access to the outside onto veranda's , terraces and patio's via lots of opening doors rather than windows , patio or french doors , folding sliding doors etc . You will also want areas outside but close to the house where you can be outside but not in the direct sun. Umbrellas and awnings can help with this - but no good if it is very windy . Shuttered windows with internal blinds and/or curtains need to be considered - and you may need an extra layer a very fine mesh to keep insects out whilst there are lights on inside the property . A single story building makes a lot of sense in a hot climate - upstairs in 2 story houses is usually hotter than downstairs - and bedrooms tend to be upstairs . Otherwise you may need " an upside down " house . Your problem is more likely to be ventilation , circulation of air and cooling rather than worrying about heat loss aka UK. You may even need air con in some rooms . I think the Balearics would be a mistake. The climate isn't good enough to keep you active all year. It's hotter than the UK in summer, do you really need sand too warm to walk on? Though in the winter it's not as sunny as Cyprus or mainland Spain. I've had awful weather there May and September. The season is too short and therefore the house prices don't represent value. You are of course right. Both Mrs RIT and I have both been privileged enough to live in 'hot' countries previously. An ability to 'hide form the heat' in the middle summer and the opposite which is the feeling of being very cold in winter despite mild winters partly because of the build of the homes is well known to us. Window and door screens to protect oneself from flies, mosquitoes and other beasties is also well known but soon forgotten about when you live somewhere like the UK. They're all considerations but the Med still wins for us. I was not trying to put you off moving to the Med - my post was triggered by your comments about the properties you have lived in in London.To encourage you to look at the type of property to suit the lifestyle that I would be looking forward to living in the Med. I am reassured that you clearly are more aware of the " needs " of the type of house you are going to live in- more aware than I am ! . Hi stringvest. I didn't take it that way at all and apologies if my reply appeared rude. We've had a lot of good dialogue over the years and I wouldn't want to change that. I was just trying to agree with you and add some extra learnings I've picked up. If I hadn't seen it myself I'd think anyone living in Southern Spain/Cyprus was mad to need a fireplace/central heating but it's certainly on our list of home needs. We never used the Air Con in summer where we lived previously and have been pretty darn hot but I expect as we age that could change. If our electricity bill starts getting a little out of hand (read it gives a sensible return on investment) and we're in Cyprus solar panels will be going up pretty quick. That could be soon as AC/heating plus running a pool pump is going to eat some Leccy. Solar hot water in Cyprus looks standard so that helps out of the box. Spain is a problem in the solar area with some pretty impressive lobbying making solar pretty much a no go area for anyone connected to the grid. Only very limited reading there so could be very wrong with that last statement. Thanks for this Wandering Star. I just mentioned this to Mrs RIT and have been told that both mm and days are in our Pugh Matrix. Thinking aloud (no science) I would have thought both have their place as days are about outdoor lifestyle as you mention where mm are very useful for filling dams and watering plants. Something Cyprus is currently struggling with. Madeira is lovely but probably better for a week or two than a decade or two. Unless, of course, you're very keen on gardening or painting or sledging down stone-paved slopes. Have never visited Madeira. Would you recommend it as a holiday destination? All sounds like exciting times. Hope the trip abroad helps you make your decision. Thanks for the wishes Scott. Have you considered Portugal? Ten years with no income tax is quite an incentive, and the country itself has a lot going for it, the North is beautiful, rugged and quiet, very different to the Algarve..
Portugal is a country that we did very little investigation on. This was because on previous holidays it's a country that we just never seemed to gel with where Malta/Spain/Cyprus always were great times. Then when FIRE became a reality we had to refine our search area to a small pool reasonably quickly if we were to do real and sensible on the ground research covering multiple seasons. Unfortunately Portugal just didn't make it onto the short list. I agree the tax piece is a real benefit but it's of course about much more than that otherwise it would be Cyprus for us 100% because it's possible to pay no tax on dividends/interest for the first 17 years of residency. All that said I acknowledge we could be leaving the best location on the table by not giving Portugal more research but you just can't investigate everything. Good point K. While we won't have a house in the UK to return to I can't see a return being a problem if we so desired it. Having considered the UK (we'd FIRE to Herefordshire as I've blogged about previously) as a FIRE location I know we have enough for a nice home plus spending the remaining wealth at <2.5%. The challenge would be if we decide to return on short notice after we have bought a home in the Med as they can be sticky to sell. Happy New Year and best of luck RIT. I think the world will look a lot different this time next year. - Relatively unspoiled and undeveloped (certainly compared to the other major Baleriacs). The whole island is a UN Reserva de la Biosphera, the touristy bits have been enclaved to certain resorts, most of the island is a no-high-rise zone, to the extent that some of the best beaches do not even have a road to them. Do your own research, naturally, some of the settlements (eg Cala n Bosch) become ghost towns over the winter. - Very well-disposed to the British. There are historical reasons for this dating back to the time when the island was under English control, and more recently assistance rendered during the civil war. 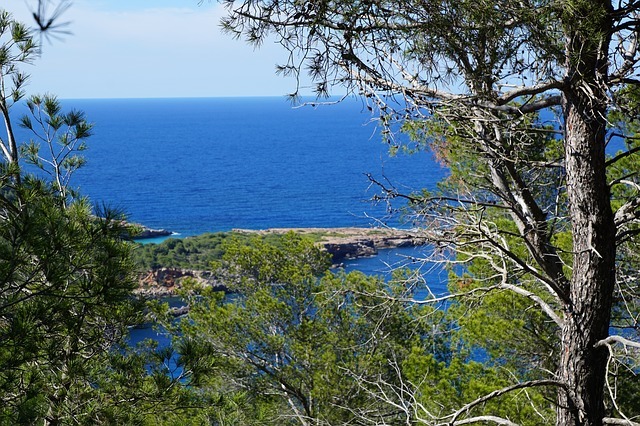 - No shortage of gorgeous beaches, villages and coves to explore. Many congratulations on being able to FIRE this year Phil. 56 is definitely entitled to include the E in my books. I hope it meets all your dreams and more. We briefly considered the two location plan but in the ended decided against it for a couple of reasons. I'd be really interested to hear how you get on once you're established. Have you set a FIRE date as yet? Thanks also for giving a Balearic Island the thumbs up. We're very much looking forward to having an explore in just a few short weeks. Yes, I work on a Contract basis and my current contract ends on March 29th, which is the Thursday before Good Friday. Or Great Friday, as I'm calling it. There are benefits in being at the senior end of the FIRE movement; we started work when Final Salary pensions were still a thing and we have less of a time gap to bridge before the State Pension kicks in. In round numbers we have £17K pa in Defined Benefit pensions, plus approx £660K in House Equity, Defined Contribution pension pots, cash and ISAs. Out of that pot we want to generate some income, purchase a main residence in Edinburgh plus a holiday home on Menorca. At the moment the properties we've shortlisted in Scotland don't leave much left over for the Spanish flat - but there again you can get a perfectly decent, if small, apartment for EUR100-150K. If I crudely value your £17k DB pension at £17k/2.5%=£680k then add on your net worth at £660k I get £1.34M which is pretty close to my wealth of £1.31M. It's interesting you can get a 2 home strategy to work on that where I couldn't although I admit I did the maths when I had a little less than today. I suspect our age differences and your 'guaranteed' DB pension help with that. I wish you good luck with the run in to FIRE in March 2018 and the home search. I'm only a few months behind you. Absolutely the age difference and DB Pensions are significant. The former means, I think, that I can afford to be a little less pessimistic about what may happen to the State Pension than your position. I am 10 years away from SP Age, and my wife 6 years. Our combined State Pensions are £16,593, current value. Assuming a target retirement income of £30k pa, I estimate the Present Value of capital needed to 'top up' our pensions between now and when we are both State Pensioners at around £92K, leaving £575K-ish for buying properties and generating some income. Also, we have a secret weapon in the shape of ex-pat friends on Menorca, they run a property management service company out there, and who are confident the second property could generate a modest income when we're not using it. Congratulations on an excellent blog. We have chosen Marbella in Spain as our spot due to the nice climate and amenities in the area and close to international airport. Probably about 48% of our investment pot will go into buying a villa with a pool which is quite a chunk of our money, however, with airbnb we have an option to rent it out for 2 months of the year generating around 3% income on the value of the property after temporary housing costs. Have you considered this type of investment? In the long term chances are prices will go up and can be sold off when you get into your later years.......the down side is it ties up some of your capital but the big advantage is you get to live in a nice villa while still generating an income not to far from what you would get in the stock market. The airbnb model offers great opportunities for early retirees and vacation property can be a great part of any portfolio. Good luck! Good luck with the transition to Marbella. We looked in the Estepona region so know the area well. Our risk profiles look quite different. We're looking to only put about 20% of our wealth into our home. That's because not for a second do I assume that house prices will always go up combined with not assuming we'll be prepared to 'downsize as we age'. Certainly looking in the UK it looks like generally people only sell when their hand is really forced for needs like care. I also would never put all my eggs in the Airbnb model as that's just to much risk for me. Happy New Year, RIT! Good to read that you were able to sort out your tenancy agreement so there will be no delay to your plans when you decide to act. Happy New Year to you as well weenie! I also look forward to watching how your 2018 pans out. Real empathy on the feeling of setting up plans you will never see through. I leave this year but with a requirement to give 6 months notice it's likely that will be close to October....but it's great knowing I can give notice whenever I am ready. My journey is easier in that I know where I am living and my dream location is the house I bought and lived in since I was 22 in sunny Yorkshire. The house price collapse of 1989 1991 was a huge opportunity for me and I was lucky in that respect. So now it's about planning and buying laptops, phones and a car (all currently company provided). Things are getting real. The big effort was telling my boss and the director....although I am positively retiring at the end of the day it's a resignation and will leave them short. But they both now know my intent (and grateful for an early heads up) and I am hanging on a couple months before formal notice goes in to see if a mini package is available due to restructure work. It will be interesting then to see what the challenges are and the nature of your blog once you leave. Leaving for me will be difficult, transition will require effort to make it work well and then I can enjoy the rest of my life. People still ask why I don't want to work but for me my 'retirement' is all about my 50's. A whole decade to enjoy things other people don't. Massive travel plans but also just helping the family and spending time with friends. And being able to go to London, drive to watch Newcastle United on a Wednesday night or grab a last minute flight to Rome...whenever I want. I had a 6 month sabbatical at 45 and I did these things and went to cricket on evening at headingley and had no plans to do so 10 minutes before we 'just decided to go'. Everything felt easy and I was shocked when someone saw me and said I looked 10 years younger. My weight had dropped and I felt fantastic. My excitement grows for that again and I hope we can all relish 'enjoying the day and being alive' as I was blessed with being able to. Good luck with the plans and I hope and winder if the blog stats with investing but moves also to ideas and thoughts on your 'positive use of retirement time'. Here's to 2018. A great year to retire.